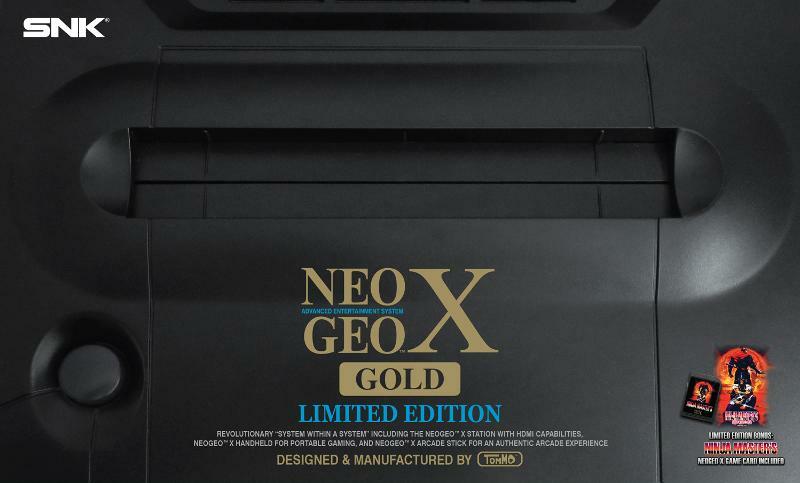 The NeoGeo X Gold limited edition will be available in North America and Europe this week from online retailers. The NeoGeo X Gold limited edition will be available in North America and Europe this week from certain online retailers. The system can be used as a handheld as well as a home console which comes with the NEOGEO X Arcade Stick and the NEOGEO X Station, which allows NEOGEO games to be played on a larger screen. This reminds me of the Super Game boy, which the games can be played on a larger screen, like a TV screen. "The NEOGEO X Gold Limited Edition is a system I have always dreamed of making a reality, said Tommo CEO, Jonathan Wan.” That dream has now come true, and it is something that can be shared and enjoyed by fans all over the world. We here at Tommo would like to wish everyone a safe and happy holiday, filled with friends, family and classic gaming for all!” also said by Wan. The package comes with the handheld system, the X Station, and the X Arcade stick. 20 Games come preloaded with the system. They include: Baseball Stars II, The King of Fighters '95, King of the Monsters, and Metal Slug, just to name a few. The system is available through amazon.com, gamestop.com, bestbuy.com, target.com, walmart.com, ebgames.ca. It looks like the system will be sold for 199.99$. Check out these cool headsets that PDP brought with them to E3 this year! Check out these neat controllers from PDP that were shown off at this year's E3 expo!